Sie uns in der Sonnenburgstr. 16 / 1. Stock. The city of Innsbruck is one of the oldest centers of academic medicine in Austria. 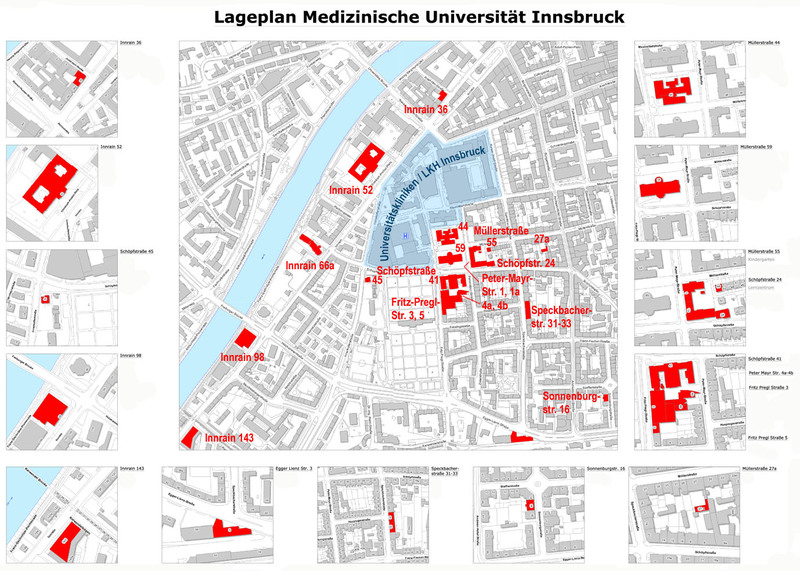 Innsbruck Medical University is a modern research establishment with its origins based on a proud history, having originally been one of the four founding faculties of Innsbruck University in 1669. Throughout its almost 340-year history it has been one of the university’s most important showcases. The former faculty was spun off into a University in its own right as part of the 2002 Universities Act. Today, Medical University Innsbruck is a Center of Excellence for medical research, with a highly qualified training establishment and a center for high performance medicine with the aim of offering services in the three areas of health care, research and teaching at the highest possible international level. The close integration of theoretical instruction and practical hospital environment has always been a special feature of medicine in Innsbruck. For Innsbruck Medical University this combination is a strongpoint that it is constantly trying to expand in research as well as in teaching. Outstanding research programs can be found particularly in the five key research areas of oncoscience, neurosciences, molecular and functional imaging, infectiology and immunity as well as sports medicine. The new diploma program in Human Medicine, which was introduced in 2002, offers a wide-ranging education in medicine: Interdisciplinary modules are used to impart theoretical knowledge and hands-on experience is gained in practical training concentrated in the third stage of the program, with a clinical year in various departments to prepare the students for their future as physicians. Doctoral program in Medical Science (PhD): The doctoral program in medical science (PhD) is designed to give graduates the competence to carrying out independent scientific research and to provide medical science related training to junior scientists. 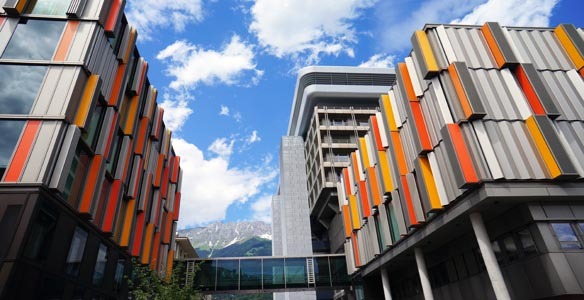 Exchange students planning to attend Innsbruck Medical University under the ERASMUS Programme find information about the application documents and deadlines here. The Erasmus Programme provides opportunities for teaching staff to spend a short period of time teaching in another higher education institution that holds an Erasmus Charter. The visiting teacher’s contribution must form an integral part of the host university’s degree programme. If you are interested in teaching staff exchange with Innsbruck Medical University please find information here.